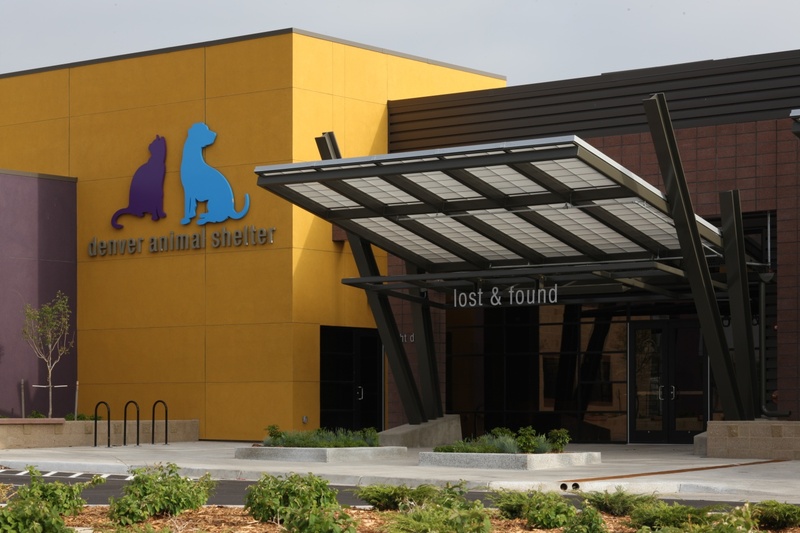 Denver's new animal shelter and public works facility brings joy and jobs to a former blighted property. Once a sprawling 40-acre contaminated eyesore near downtown Denver, the former General Chemical property is now home to a state-of-the-art animal shelter and public works campus, both of which are models for sustainable and efficient design. In 2010 the City and County of Denver used a $200,000 Recovery Act sub cooperative agreement from the State of Colorado's brownfields loan fund to complete soils cleanup at this long blighted property that abuts the South Platte River bike path. Soil and groundwater contamination was extensive and included cadmium, lead, arsenic, asbestos and petroleum. The transformation has made the site a healthy place for pets, people and planet! What does EPA do with your ACRES data? Many of you have probably wondered to yourselves, or even aloud to EPA  "Why does EPA need all of this information? Why do they need to know all of these things about my property?" This is an excellent question! Here are a couple examples. ACRES data is critical for developing budget formulation/request documents, preparing for and delivering Congressional Testimony and otherwise demonstrating the enormous benefits to the American people that this funding has facilitated. Likewise, ACRES data serves an important public purpose because everything that is reported in ACRES is also reported in Cleanups in My Community, the public facing EPA site that shows where EPA is doing cleanup work across the nation. This is a great way for EPA to showcase the progress that you are making in revitalizing your communities. In addition to these public facing applications of the data, the Brownfields program also uses the information provided by you via ACRES to analyze the impacts of the program in other ways, for instance determining the impact of the program and/or sharing this information with the academic and research communities. Ever notice that your North American property appears to be mapped in Asia or Eastern Europe? A missing negative sign in a longitude field will result in your property location appearing exactly on the opposite side of the globe. The ACRES team recently updated the latitudes /longitudes (lat/long) that were in error and as a result fixed over 1700 property locations. Many had a missing longitude negative sign, others had the lat/long values reversed, and some were missing lat/long values altogether. Most of these properties were entered years ago. When adding your property into ACRES, please be sure to verify the location. A quick glance at the property's Google map will help you verify that your lat/long values are accurate. Within the past year ACRES added verification for new property data. The lat/longs are automatically calculated using the street address you enter. Also, additional checks are performed when you manually change the lat/long values. ACRES has made it easy to get it right! POs will notice a new section on their home page that displays Anticipated Performance Measures. This section lists a CA's anticipated and actual number of Assessments, Cleanups, Cleanup Jobs Leveraged, and Redevelopment Jobs Leveraged. It also includes anticipated and actual values for cleanup dollars leveraged and redevelopment dollars leveraged. The information for the section is first entered through the Profile Information link, Enter Data. POs will find that a new screen has been added to collect the measures data. POs may also notice that the navigation for this PO functional area has had a much needed overhaul. It is now much easier to access and view the information. Plans are in the works for additional improvements for POs. If you have any suggestions for ways ACRES can make your job more effective, please let us know by contacting the ACRES Help Desk at ACRES_Help@epa.gov or (703) 284-8212. You'll also want to add these to your calendar. They'll include a webinar discussion on new CA types: Area Wide Planning and Multi-purpose Cooperative Agreements. July 10 (2 pm ET)  What's New with the PPF? July 12 (2 pm ET)  What's New with the JT Reporting Form? The General Chemical Property has reported a Cleanup, Institutional Controls in Place, Ready for Reuse and Redevelopment Underway as Complete. This property record also celebrates 40 acres ready for reuse, 155 Cleanup and Redevelopment Jobs Leveraged, over $70M dollars leveraged. An excellent reuse story with excellent ACRES reporting! When should a cleanup completion date be entered in ACRES? The entry of a completion date for a Cooperative Agreement (CA)-funded cleanup activity represents a major environmental outcome that is closely tied to EPA's mission of protecting public health and the environment. Therefore, we all need to take an extra measure of caution before entering data in this field to ensure the accuracy of this data. Since the data in ACRES is publicly visible on the "Cleanups in My Community" website, we need to make sure our cleanup completions are well-documented. 1) A "clean" or "no further action" letter (or its equivalent) is issued by the state or tribe under its voluntary cleanup program (or its equivalent) for cleanup activities at the property. In this case, the date of the letter from the state/tribal authority would be the cleanup completion date. 2) The CA recipient or property owner, upon the recommendation of an environmental professional, has determined and documented that on-property work is finished. Ongoing operation and maintenance activities or monitoring may continue after a cleanup completion designation has been made. In this case, the date of the environmental professional's report which documents the completeness of the cleanup and indicates the site is ready for the proposed re-use would be the cleanup completion date. Team ACRES has made recent system enhancements to make it easier for recipients to enter accurate data. For example, when entering data, you will now see blue questions mark icons next to various data fields. When you click on these icons, in-line help text will appear to give you guidance on the corresponding data field. For example, clicking on the in-line help icon next to the cleanup completion date field will give you guidance on the definition of cleanup completion date. We hope these in-line help icons are helpful. We are always looking for your input on how to make ACRES better. Please email or call the ACRES helpdesk with any suggestions you may have for additional in-line help icons or any other system enhancements.